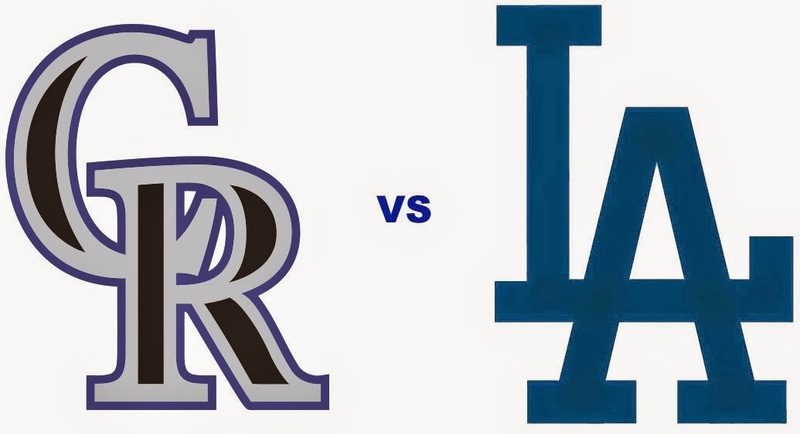 Dodgers Blue Heaven: Rockies Series Starts Tomorrow - Scheduled Autograph Sessions, Pregame Info and Other Stuff! Rockies Series Starts Tomorrow - Scheduled Autograph Sessions, Pregame Info and Other Stuff! The next homestand starts tomorrow evening against the Colorado Rockies, and several former Dodgers are scheduled for an autograph session with fans. Below are the scheduled autograph opportunities and other odds and ends for this upcoming homestand. Monday's game starts at 7:10 PM. Auto gates open at 4:40 PM, and stadium gates open at 5:10 PM. 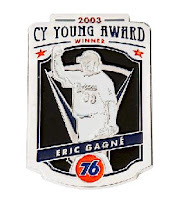 The Seventh of eight Cy Young Collectors' Pin Series giveaways is this night. 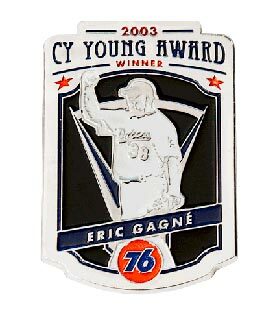 The first 40,000 fans will receive an Eric Gagne pin. See it on the left. Southern California band the Dirty Heads will perform a pregame concert at approximately 6:45 p.m. from atop the Dodger dugout. They will also throw the ceremonial first pitch Monday. Additionally, the host of “Entertainment Tonight” Kevin Frazier will throw a first pitch. Jim Gaffigan, Grammy-nominated comedian, will announce the Dodgers’ starting lineup. Grammy and Latin Grammy award-winning artist Lila Downs will perform the national anthem. 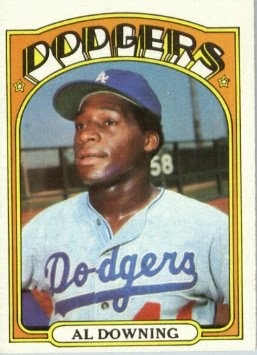 Dodger alum Al Downing will sign autographs in the left-field plaza from 5:00 p.m. to 7:00 p.m. The Dirty Heads will also sign autographs for fans in the right-field plaza from 7:30 p.m. to 8:00 p.m. The Military Hero of the Game is U.S. Marine Corps Gunnery Sergeant Carlos Martinez. It is also Law Enforcement Appreciation Night at Dodger Stadium. 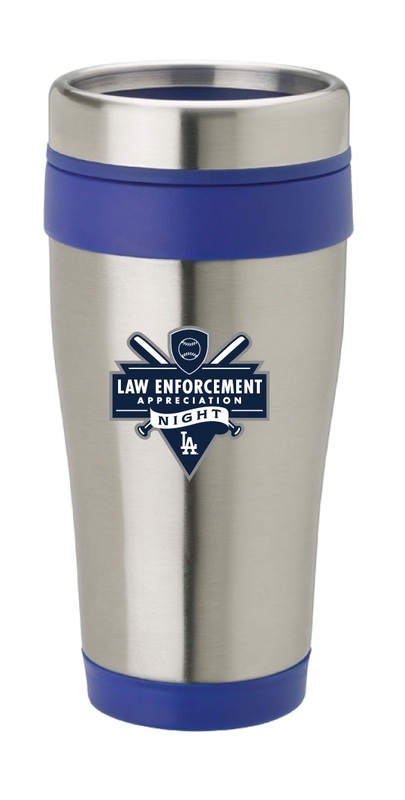 Folks who ordered a special ticket package in the All You Can Eat Right Field Pavilion or Infield Reserve will get an exclusive commemorative Law Enforcement Appreciation travel mug. See that on the left. If not already sold out go here for information. As part of Law Enforcement Appreciation Night, Levy Restaurants will offer a 25 percent discount at all concession stands, excluding alcoholic beverages, from 5:00 p.m. to 7:00 p.m. with the presentation of a valid law enforcement badge. 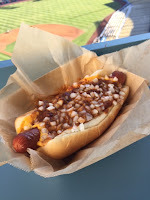 Additionally, Levy Restaurants will offer a Law Enforcement Dog for $9, which consists of a quarter-pound all-beef Super Dodger Dog covered with chili, nacho cheese and fresh onions, at Extreme Loaded Dogs locations on field, loge and reserve levels. Law Enforcement Appreciation Night will include pregame ceremonies. Los Angeles County District Attorney Jackie Lacey and Los Angeles City Attorney Mike Feuer will throw an honorary first pitch. The Los Angeles County District Attorney’s color guard will be on hand for the national anthem. Los Angeles County Sheriff Jim McDonnell and Los Angeles Police Chief Charlie Beck will announce the Dodgers’ starting lineup. LAPD Detective Alma Burke will sing the national anthem. The Dodgers will also honor John Shoemaker who was recently appointed “Captain” of Player Development for his dedication through the course of 39 years with the Dodgers. Director of Player Development Gabe Kapler will make an on-field presentation to Shoemaker and a video with messages from current players will be played. Additionally, Shoemaker will throw the honorary first pitch. 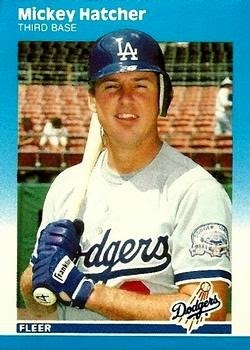 Dodger alumnus Mickey Hatcher will sign autographs in the left-field plaza from 5:00 p.m. to 7:00 p.m. The Military Hero of the Game is U.S. Navy Operator First Class Peter Izarra. Wednesday's game starts at 7:10 PM. Auto gates open at 4:40 PM, and stadium gates open at 5:10 PM. 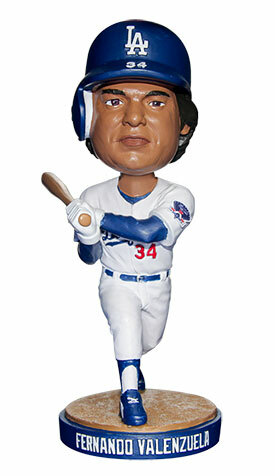 The first 40,000 fans in attendance will receive a Fernando Valenzuela bobblehead. See it on the left. The Dodgers will officially kick off their commemoration of National Hispanic Heritage Month and will be joined by legendary Mexican rock band Maná. The rockers from Guadalajara, Jalisco, will join Hispanic Scholarship Fund (HSF) President Fidel Vargas Sr. in celebrating HSF’s 40th birthday. Consul General of Mexico in Los Angeles Carlos M. Sada will be on hand to present the “El Grito” speech celebrating Mexican Independence Day. Sada along with Fher of Maná will also throw first pitches. The Dodgers will also join Major League Baseball in celebrating Roberto Clemente Day. As part of the league-wide celebration, the Dodgers will recognize their 2015 Roberto Clemente Award, All-Star first baseman Adrian Gonzalez. 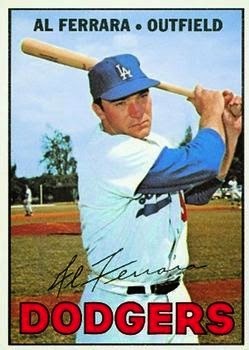 Dodger alum Al Ferrara will sign autographs in the left-field plaza from 5:00 p.m. to 7:00 p.m. The Military Hero of the Game is U.S. Army Staff Sergeant Edgar Valles. The Los Angeles Dodgers Foundation (LADF) conducts silent auctions throughout the season featuring more than 25 signed pieces of memorabilia from Dodger players, coaches and alumni. Auctions will take place behind the Vin Scully press box on the club level. The items up for auction on Wednesday include an Andre Ethier autographed photo, Zack Greinke autographed baseball and Joc Pederson autographed Dodger jersey. The auction will end at 8:45 p.m.